Before getting the bus, do your research on the computer or get someone to help you to do this. Print off a bus timetable, a route map and a street map. Make sure you take the timetable and maps with you and make sure you have a fully charged mobile with a map navigation tool. Use Google Street View to familiarise yourself with the areas where your bus stops will be. If necessary, print off the images and take them with you. Check the route and the location of the bus stops where you will need to get on or off the bus. Check the best fare available – sometimes a weekly ticket is cheaper than single tickets. Also check how much it will cost – some buses will only accept exact change! Check if you are eligible for a bus pass and apply for one (the application will take a few weeks to be processed) – this will make it easier for you to use the bus. Look up www.nowcard.org for more information. 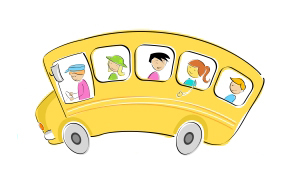 If necessary, try to get a direct bus but if this is not possible, you can write down or print off the number and names of the stops until your destination, so you know when it is time to get off. Get money or bus pass ready when the bus comes. When you get on the bus, say the name of your destination – does not matter if the driver understands you or not. Then with confidence, lean over and look at the screen of the ticket machine and point with your finger to the right destination. Most bus drivers do not mind you doing this if it saves time and hassle. If the ticket machine is not working or available, then a handwritten note or map showing your destination will do the job. If you find yourself becoming confused or unsure when travelling on an unfamiliar route, use your mobile phone with the map navigation tool to gauge whereabouts you are. Look for signs with street names – it will help you if you are using a street map. If you do not have the map navigation tool, take your printed map to the bus driver when he alights at any stop and ask him to let you know when it is time for you to get off (point to the map to get your message across). If your bus driver is unable or unwilling to help, visit a deaf organisation as soon as possible and ask a member of staff to assist you with making a complaint. Memorise the number of bus and the time you travelled with the bus, this information will help the bus company to identify the driver and resolve the issue directly. Be careful about asking another passenger for help especially at night and when you are on your own in an unfamiliar place as he/she may take advantage and follow you. Trust your instincts about people, some will be happy to help you out but keep your wits about others who may not be good natured. If you are truly stuck, ask the bus driver for assistance (write things down if possible or use your mobile to write texts). If the driver will not help, go straight to a shop or a police station and ask them to phone you a taxi home. If the new route is going to be a regular occurrence for you, try to look at the places that you pass whilst on the bus and memorise specific landmarks which will help you to remember when to get off the next time you travel. Do not have your nose buried in a book, newspaper or be occupied with texting, playing games or chatting to someone! If you have an appointment or an important meeting like a job interview, try to allow plenty of time and get an earlier bus than the one which would arrive on time. This will make allowances for the possibility of a delay or mistakes and you will still get to the appointment or meeting on time. Planning and preparation is the key!